To reach our administration and faculty by phone, please call 310-479-7996, and select item 1. The message will list each faculty. By pressing their respective number you will be connected directly to them. Juliet Soopikian, M.S., is a licensed Marriage Family Therapist (MFT #38746) in private practice in West Los Angeles. She is the co-founder of the Insight Center, and teaches mindfulness meditation and its application to personal and professional lives. Prior to private practice, Juliet worked as a therapist in both in-patient and outpatient settings, including the Department of Health and Human Services for the City of Long Beach. She was Program Director of an acute outpatient program for Glendale Memorial Hospital, Social Services Coordinator and Counselor for a group home in San Gabriel Valley, Group and Family Therapist for a community clinic, Kaiser outpatient services, and a discharge Planning Coordinator for Kaiser’s inpatient psychiatric hospital. Joni Lavick, MFT, SEP maintains a private practice in Santa Monica. She is a clinical supervisor at Counseling West, and Antioch University, and works with families coping with addiction at The Canyon Recovery Center. Joni has been working with HIV positive individuals since 1988. In 2005 she received a National HIV Leadership Award from thebody.com. The Los Angeles Gay and Lesbian Psychotherapists Association’s honored her expertise and advocacy in 2000, with their Annual Community Service Award. She is a former Director of Mental Health Services at the L.A. Gay & Lesbian Center. She has over 20 years of experience treating individuals with sexual compulsivity, methamphetamine addiction, alcoholism and other substances, depression and anxiety. Currently she serves on the board of The Women’s Association for Addiction Treatment. Joni has special training in the scoring and administration of Mary Main’s Adult Attachment Interview, studied Intersubjective Systems Theory with Robert Stolorow, and is certified as a Somatic Experiencing Practitioner by Peter Levine’s Foundation for Human Enrichment. 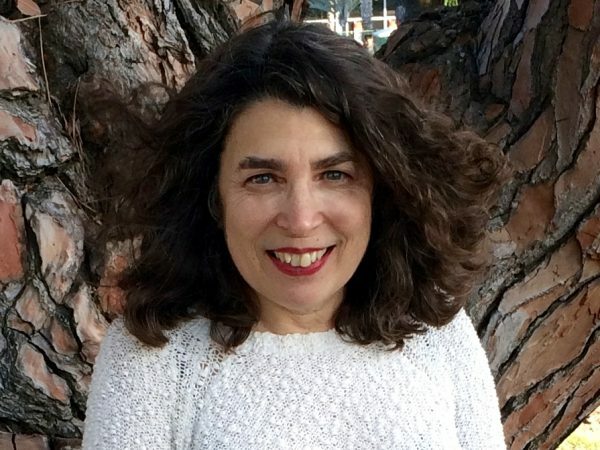 Dr. Marks-Tarlow has authored and co-edited numerous books, including Play and Creativity in Psychotherapy (2018, Norton), Truly Mindful Coloring (2016, PESI), Awakening Clinical Intuition (2014, Norton), and Clinical Intuition in Psychotherapy (2012, Norton), andPsyche’s Veil (2008, Routledge), all of which she has illustrated herself. Dr. Marks-Tarlow has presented workshops and seminars internationally and nationally, including a 2012 a conference at the Tavistock Institute in London relating to her second book, Psyches Veil, on nonlinear dynamics, and the 2015 UCLA Interpersonal Neurobiology Conference. 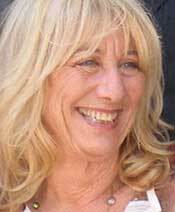 Eileen Paris, Ph.D., Psy.D., is a training and supervising analyst and member of the Institute of Contemporary Psychoanalysis, Los Angeles. 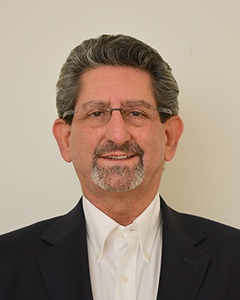 Dr. Paris has been working with children and families for 47 years. She began her career as a pre-school teacher, became a somatic therapist, then a psychoanalyst and infant mental health specialist. She served on the faculty of the Reiss-Davis Child Study Center, as adjunct faculty at the 2001-2002 Infant Mental Health Specialist Training Program at Cedars/Sinai in Los Angeles, the Santa Barbara Graduate Institute, the Institute of Contemporary Psychoanalysis Los Angeles, and is a visiting scholar at Antioch University Los Angeles. Dr. Paris developed a psychoanalytically informed model of parent education called The Parenting Process and co-authored, I’LL NEVER DO TO MY KIDS WHAT MY PARENTS DID TO ME! A Guide to Conscious Parenting, (Warner Books, 1994). Her paper Interrupting Trauma and Advancing Development: Considering Parent Education in Contemporary Psychoanalytic Treatment was published in the 2013 Clinical Social Work Journal. Dr. Paris is in private practice in Marina Del Rey, California and offers workshops and trainings to parents and professionals that address developmental trauma in the US, Canada, and Europe. 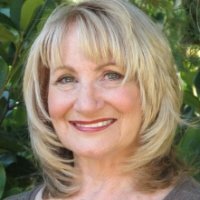 Elaine Rosenson, LMFT, is a Licensed Marriage and Family Therapist in private practice in Encino, CA for over 25 years. She is a nationally recognized therapist and Voice Dialogue facilitator and teacher. She trained extensively with Drs. Hal and Sidra Stone, the originators of Voice Dialogue. She has served as a staff member and has been endorsed by them to provide trainings to professionals and the general public. In 1991, she founded the Valley Voice Dialogue Center where she has trained therapists on how to use Voice Dialogue for their own deep personal work and in their own practice. She has presented classes at CSUN, at numerous intern training centers in Los Angeles as well as at CAMFT, SD-CAMFT, SFV-CAMFT, GPASC, and GPALA Conferences. Elaine is a Past-President of the San Fernando Valley Chapter of CAMFT and has been an active member for over 30 years. Elaine became inspired by the embodied depth psychology work of Marion Woodman, Ph.D., a world-renowned Jungian analyst, who brought bodywork to the Jungian community. In 2010, Elaine graduated from Dr. Woodman’s prestigious three-year BodySoul Rhythms Leadership Training Program. The program incorporates Jungian therapy, dance movement, art, dream analysis, voice and bodywork. Elaine has incorporated this work into her psychotherapy practice and finds it reaches people deeply, enabling them to discover their authentic nature. Rev. Hye Wol Sunim was first ordained in Sri Lanka in 1977 and took robes in the Korean Zen tradition in 1984. Rev Sunim studied with Buddhist masters in Sri Lanka, Thailand, China, Australia, Taiwan, Korea and Japan. He arrived in the United States in 1991 where he translates Pali texts and teaches from the early discourses of the Buddha. Rev. Sunim founded the Meditation Center for Zen Communities (MCZC) and has created a Meditation Center in Pearblossom California. He is the guiding dhamma teacher for The Insight Center.